Today is Dominican independence day, a day of glorious celebration where carnival comes out in full force and colors in the entire spectrum of the rainbow blanket the streets of the Caribbean country. The independence movement was led by one individual named Juan Pablo Duarte, who along with his two companions, Matias Ramon Mella, and Francisco del Rosario Sanchez, formed a secret society called La Trinitaria. The secret society was first formed on the 16th of July, 1838; six years before its plans to liberate the Eastern two-thirds of the island of Hispaniola from Haitian rule went into full effect. After the Masonic-directed independence movement which led to the formation of the United States, Haiti was the second country in the Western Hemisphere to liberate itself from European rule. A weak Spain, unable to hold to its Latin American colonies, lost the Dominican Republic to Haiti. 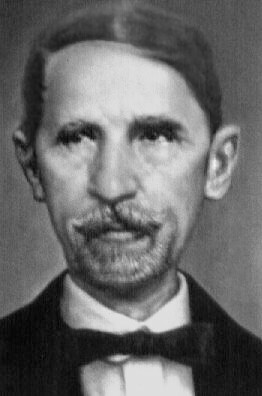 Juan Pablo Duarte spent time in Europe, where he learned to utilize the same growth tactics employed by French Freemasons to execute the French Revolution: new members were tasked with recruiting two new individuals who would not know the identity of the others. During the founding of the the secret society, Duarte proclaimed: "We stand here with the purpose of conspiring against Haitian power, to form a free and independent state called the Dominican Republic." Thereafter, all those present signed a parchment in blood, and thus was set in motion a course of events which would impact the history of the Caribbean for centuries to come. Offending the Founding Fathers today is a punishable offense in the Dominican Republic, and offending the country's original secret society could bring negative consequences. Today is a day when Dominicans celebrate a successful conspiracy by a secret society.